The Superbowl is this Sunday. It is not just about the football game. This is a great time to hang out with family and friends, watch some great commercials and a fun half time show. It is also about the food! Superbowl snacks are in a league of their own, so indulge in what you love . 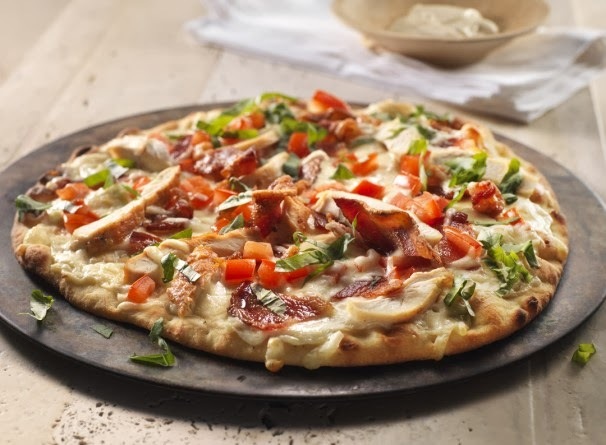 Stonefire Authentic Flatbreads are the makers of the #1 naan in North America. They make freshly-baked naan, pizza crust and pita pockets, all of which are made without artificial preservatives, additives, artificial colors, trans fat and hydrogenated oils. but the variations are endless! Do you ever wonder how some people can make their home look clean and cozy on a very small budget? These people know that a few accents can go a long way in making a big difference in the way your home looks and feels. During the holidays, most of us try to add a few festive pieces into our home to bring the season within. After the holidays, it is all too easy to fall into a decorating rut. However with much of the winter still in front of us, it is not too late to give your home that nice and cozy look, that will make you want to spend more time in it. Find a nice warm blanket, that work in the color palette of your room and drape it across the sofa, add a few over-sized pillows and you will have a place that rivals the coziness of many ski chalets. Another trick of the trade is buying covers for your couch (you can find them in places such as CoverCouch.com. Some of us may have bought couches a few years ago and with life, kids and pets, these once pristine couches don’t look so great anymore. Instead of saving money to buy another couch it is much more affordable to buy a slip cover for the couch and cushions. By changing the covers, not only do you have a nice clean couch again, but you can play with colors and designs to make your room look brand new and very minimal costs. 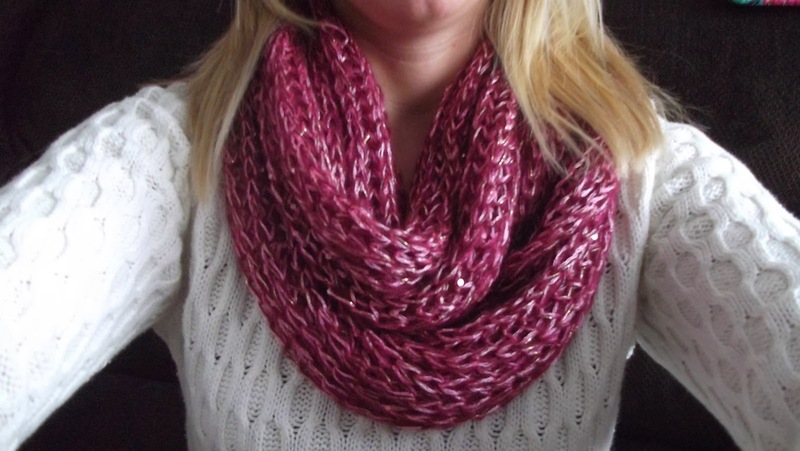 In the winter it is great to try warm cozy colors to make you forget about the cold outside. Life happens and peoples taste change, luckily it is very affordable to make your house decor change with them. A few well thought out pieces can take your house into a home. **Code: DIY2014 for 15% off any order. Just wanted to share the updated photos of our pantry- just got completed today. Unfortunately the contact paper didn't adhere to the boards in spots as well as we had planned but not a big deal. We were able to sell one of our upright food storage cupboards for $40 and have combined everything into the one cupboard. Thank you to my hubby who worked so hard to build this for me! Just thinking how we are at the end of the month now, and that much closer to Spring! Can't wait! Snow coming down hard though today. We do have plans to already head out in April. Gerry is going to a conference in Scottsdale, Arizona the first week of April. Never been to Arizona! But I know it's warm and that I love. 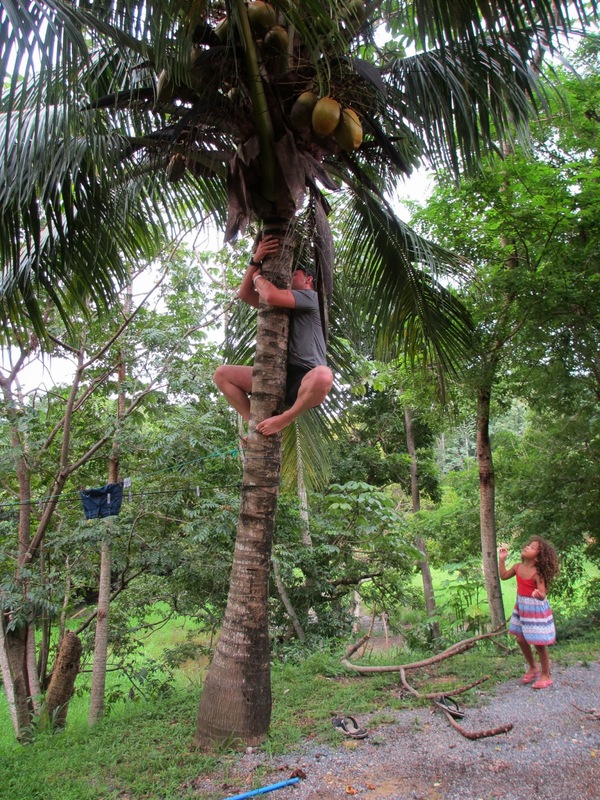 I will be able to tag along providing I'm paying my own airfare. He doesn't have full days so will be nice to try to get in some sightseeing as well. A possible trip to the Grand Canyon would be nice too. So I have begun planning that trip. If you live in the area, or have ever been there, I'd love to hear about must sees, things to look for or things to avoid. Threw a turkey in the oven this morning- the last of the two I had in my Santa packs. Will be nice to have it cooked up and freeze the meat. Cookie baking this morning too- so I could try out the new baking chips from Enjoy Life Foods.These are a Dark Chocolate Morsel with 69% Cacao.The chocolate is dairy, nut and soy free . These are the latest addition to their already best selling Semi-Sweet Mini Chips and Semi-Sweet Mega. The cookies turned out so yummy- that it's so hard to eat just one! And I love their baking chips the most because they are a good quality and dairy free for someone like me who has food issues if not a darker chocolate. Gerry still working away on the pantry and should be done by today he said! Exciting. I got some nice contact paper the other day that will do all the shelves for only $9 with the tax for the roll. we get more photos as soon as this is done. On a final note before we head out for our Saturday errands, I wanted to share a great story about Mastercraft tools. Gerry's Mastercraft maximum miter saw recently died on him. A new one would have costed him approx. $300 he figured. Although Mastercraft told us on the phone it did have a lifetime warranty, we no longer had the receipt as we had turned it in years earlier for a recall. Our local Canadian Tire told us they couldn't honor the return as the product was no longer in their system and only had a 5 year warranty with them. Se we made some calls. In the end, Mastercraft ended up honoring a lifetime warranty with no receipt! Today Gerry gets to go to Canadian Tire and get himself a new saw that was authorized by Mastercraft. Since the other one is no longer is stock he gets one that is similar and the cost of $499 plus tax.So we are quite happy with the results of that. It does pay to contact the manufacturer if you feel you did not get the results you wanted at a store level. **Thank you to all who entered- winner has been contacted and has 7 days to reply before a new winner is selected. When thinking of our golden years many of us feel a mixture of anticipation and even a little bit of worry. While it would be nice to have a lot of time to do what you wish, and dedicate yourself to your hobbies, at the same time the prospect of a limited income can be worrisome. Since none of us know how long we are going to live for, it is difficult to ensure that you have enough money to get you through retirement. There are some things you can do in order to make your financial future a little bit more secure. You will hear this advice over and over again. The earlier you start planning and saving for retirement the better off you will be. Even 20$ put away weekly in your twenties, can give you a happy and secure retirement. Do not be tempted to cash out your retirement savings early and for another reason. While kids’ education and paying off your mortgage are important, you have to pay yourself first and plan for a part of your life that can last decades. Many of us have lost superannuation that we may not be aware of. Life changes such as moving addresses, changing names or jobs can cause changes to your superannuation that you may not be aware of. What many people do not know that even if you change countries of residence, you may still be entitled to retirement savings to which you contributed in your other country. It does not hurt to look for the things you may be missing. Many experts argue that traditional retirement is a thing of the past. Many retires choose partial retirement. This means that they stop working full time but supplement their income with partial, seasonal or contract work. This is not solely due to financial reasons, but also to the fact that many seniors get a sense of well-being when they contribute to society. 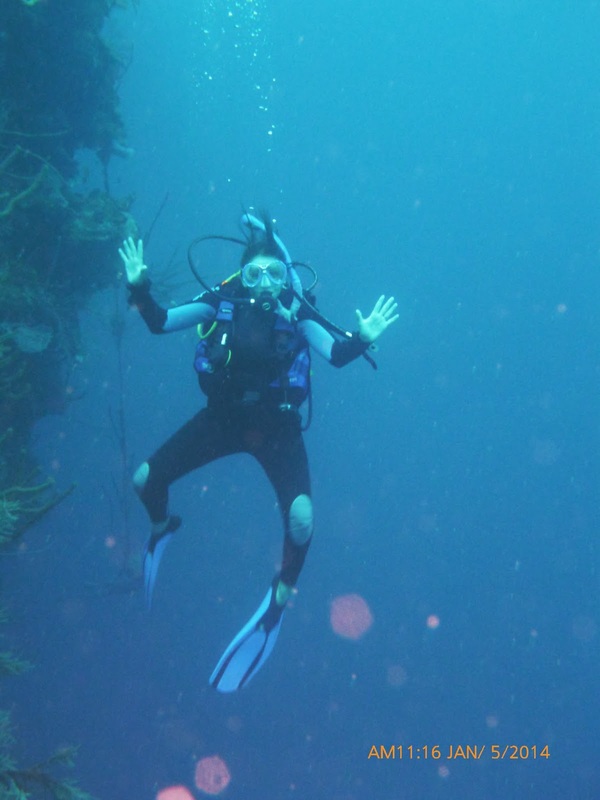 This way you can use your retirement savings for the bare bone necessities while your additional income can fund your hobbies and retirement dreams. 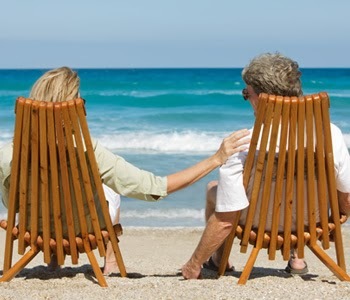 Planning for your retirement can be a daunting task. So start early, education yourself about savings options and speak with a financial adviser about potential money that you may be entitled to. It is important to plan ahead to maximize your retirement potential. 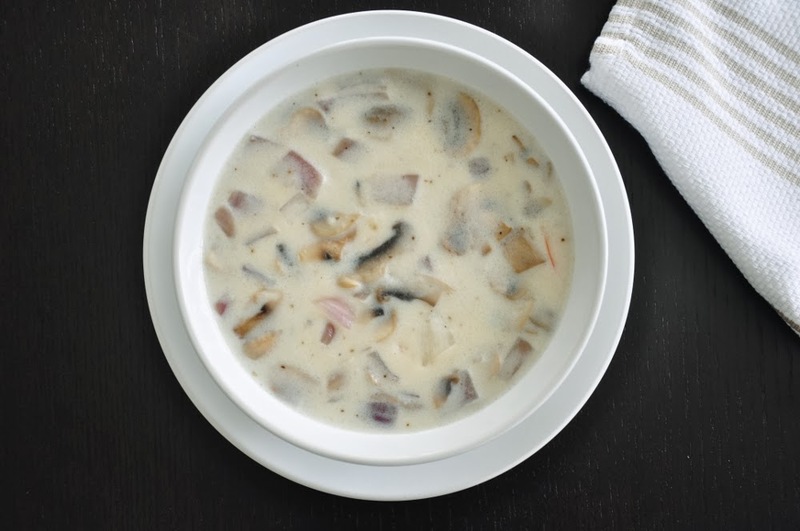 When cold weather strikes there is nothing more comforting than warm bowl of soup. It is an economical and versatile meal that you cannot help but love. There are so many different varieties available to you, make this month to discover your new favorite soup and products associated with National Soup Month. As much of the country is shivering in a deep freeze, Snapware and Chef Emeril Lagasse have teamed up to help America warm up this National Soup Month with the Snapware Winter Warm-Up Sweepstakes. From now through January 31st, visit facebook.com/snapware to enter for a chance to win a trip for four to Orlando, complete with a dinner at Emeril’s Orlando, tickets to local attractions and more. In addition to the grand prize winner, four weekly winners will receive a suite of Snapware, perfect for storing soup and other cold weather staples all winter long. There’s nothing like a hot bowl of soup to warm your soul – and your stomach. 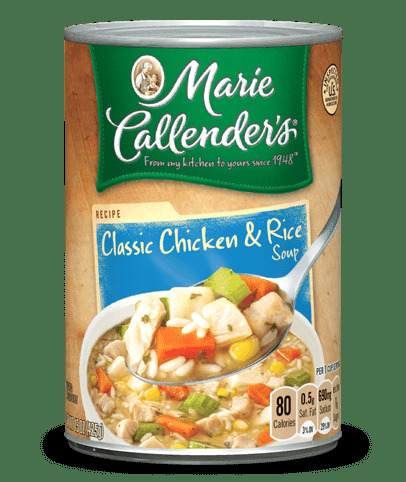 Marie Callender’s wholesome, satisfying soups come in delicious varieties, such as Classic Chicken & Rice. This soup is made with tender chunks of chicken, long-grain rice, russet potatoes, corn, carrots, and celery in a roasted-chicken base. Savor every delicious spoonful. Easy, Healthy, Tasty Homemade Gourmet Food With An Asian Flair. thickened. Taste and add salt and fresh-ground pepper. Serves 4-6. 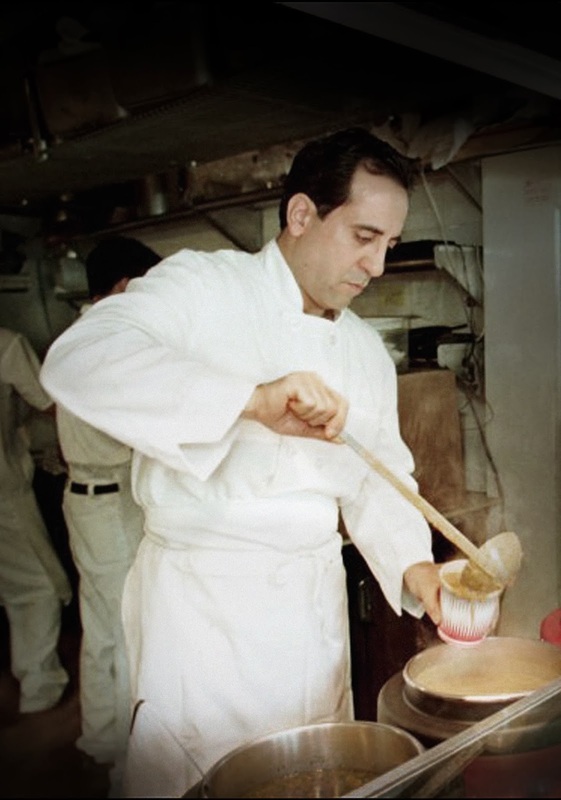 The inspiration behind the famous "Seinfeld" soup episode. Seinfeld SOUP NAZI best bits. Heat SoupMan Lobster Bisque soup as indicated on box. Prepare entire bag of ravioli as per directions on bag. Divide ravioli into 4 portions. Ladle 4 oz. of heated SoupMan Lobster Bisque on each portion. Sprinkle ½ oz of shredded parmesan cheese on each portion. 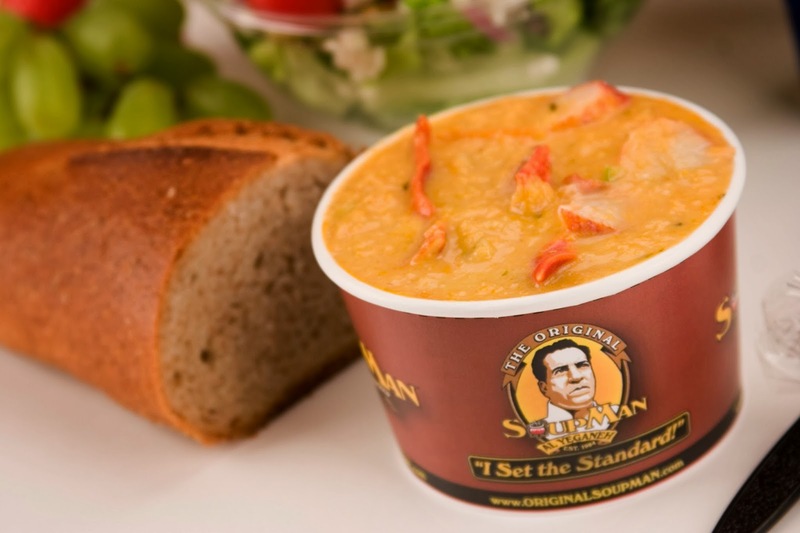 To find the nearest retailer, visit http://originalsoupman.com/soup-shop/grocers-near-you. The pantry is still coming along, and can't wait for it to be complete, however, we had some issues as I had previous mentioned, with our second washroom's sewer line so Gerry took a break from pantry work yesterday to work on the sewer line. We were actually going to just leave it till Spring, then Gerry thought of getting a plumber to come fix it- as we really are spoiled with our 2 toilets in the house! I told him a plumber would cost too much and could he do the work. He said he could- would rather not though as it was working in cramped quarters, etc., but after thinking it through and me convincing him about doing it the "frugal way", he decided to take the afternoon off work yesterday, ( with pay still of course), and went to work on it. He said the ground had shifted I guess,( as we do live on unstable ground here. Our lot and alot around here were originally just filled in swamp), and had caused the line to move and all the water had been sitting ion one spot frozen. He spent about 5 hours on it- that included the time to clean up. Saved plumber fees plus $90 in material costs because he reused existing line that was there. Craving something sweet this Valentine’s Day? 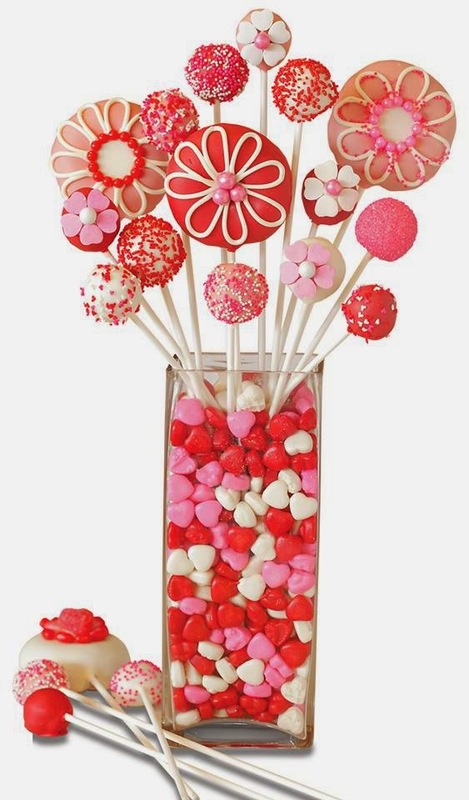 Introducing the sweetest Valentine’s Day bouquet ever created. Entenmann’s is celebrating with the Entenmann’s Sweet Valentine's Edible Bouquet and Entenmann’s Sweet Donut Sweepstakes. Entenmann’s fans won’t want to miss out on this mouthwatering celebration! 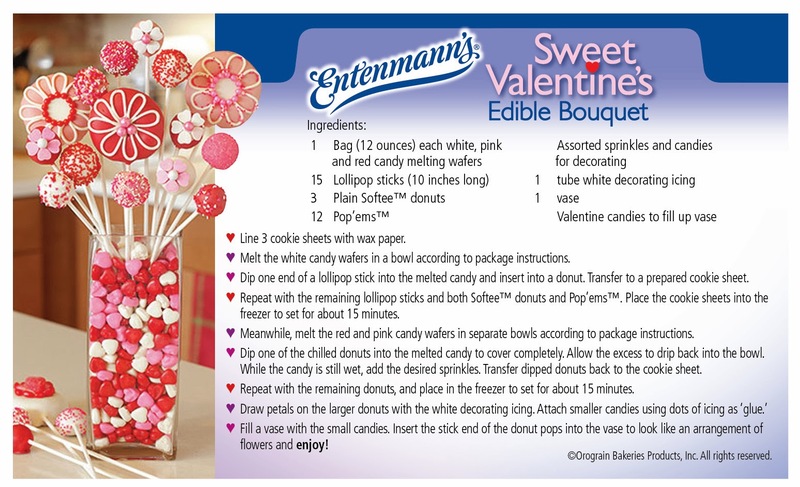 You can create the Entenmann’s Sweet Valentine's Edible Bouquet, using the recipe card with simple step-by-step instructions and easy-to-find ingredients. With chocolate, sprinkles and a pinch of creativity, you can the most delicious bouquet your loved ones have ever received! You can also enter the Entenmann’s Sweet Donut Sweepstakes on the Entenmann’s Facebook page starting January 3, 2014 for the chance to win lots of prizes, including Entenmann’s coupons, Mr. Rich Frosted and Ms. Crumb plush toys, 1-800-Flowers arrangements and more! Details can be found on Facebook.com/Entenmanns or on 8-pack boxes of Rich Frosted Donuts and 8-pack boxes of Crumb Donuts. 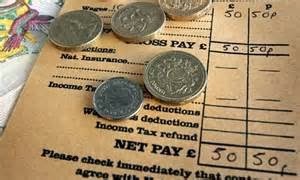 What Can Brits Expect From Their Pay In 2014? 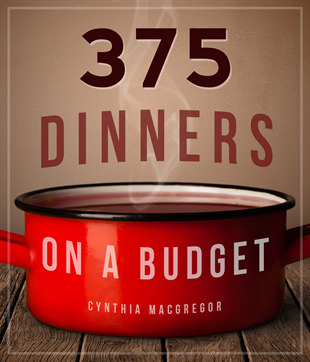 The past few years have been financially tough for just about everyone in the UK. The financial crisis saw a downturn not only in prosperity but also in morale as the British population was forced to pay the price for a neo-liberal disaster which was not of their making. The good news is that all analysis points to the fact that we have weathered the storm and that the first green shoots of recovery, whilst slow, are beginning to show. Despite the lingering reality of far-reaching cuts to the public sector, the economy is looking more promising than it has for some years. What this means for your pay cheque will depend hugely on the industry and sector within which you work but let's take a look at a few of the wider implications. While it's important to be aware of the growth of part-time jobs and unpaid internships, it remains the case that employment is on the rise. As more positions become available across the UK, now is the time for those who have been struggling under such circumstances to move into full-time, properly paid positions. The next step for the government is to introduce a living wage which will guarantee these struggling workers a decent standard of living. Cridland expressed his concern that too many workers in the UK are stranded in jobs which pay minimum wage and offer little or no chances for progression. He spoke about the responsibility for this issue, noting that it poses a “serious challenge that businesses and the government must address”. Of course, in order for businesses to pass better wages onto their employees they need to know that they can afford it. A number of senior figures and government reports may be communicating good news about the economy but until businesses are blessed with a little more leeway in their own finances it is impossible for them to implement any meaningful changes for their workers. If businesses are using well designed accountancy software, they should be able to recognize the positive changes to their financial situation moving into 2014. Making use of online payroll software should make it possible for businesses to understand how much more they are able to pay their employees and to take deliberate action to this end. The growth of the UK economy seems a likelihood moving into 2014 and it will be the job of government and businesses to see that the return to prosperity is something which can be felt and shared by people on all rungs of the employment ladder. Got 13 cm of snow dumped on us yesterday alone and another 5-10 cm tomorrow.The town did a great job of doing the roads though. Now ready for our next dump! Not! The snow is almost as high as our window sill- the highest I've seen in all my years of living here with Gerry- about 8 years. Taste of Nature is a unique Canadian company that has developed a cult-like following for its organic fruit and nut bars available in 35 countries . 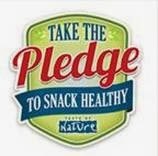 Taste of Nature created the Pledge to Snack Healthy program after a survey revealed that Canadians want to snack better. Almost half of the respondents (45%) felt that “adding one healthy snack to my diet every day” was something they could do in order to be healthier. But taste can’t be compromised. Nearly three quarters (68%) of respondents said that taste is crucial to satisfying a snack craving, making Taste of Nature the perfect solution. The Taste of Nature Pledge to Snack Healthy program is designed to inspire Canadians to snack better and kick-start a healthy revolution with delicious fruit and nut bars that are 100% certified organic, Non-GMO Project Verified, Vegan, Kosher and certified Gluten Free. Canadians can participate by logging on to the Facebook page at www.facebook.com/tasteofnature , and promise to switch to at least one healthy snack a day. As extra incentive, everyone who signs the online pledge until February 28th will be entered into a daily draw for a yoga mat and Taste of Nature bars (value $55)! When we send our children off to school, we expect and hope that they’ll remain safe throughout the day. When we buy our children toys, we also expect a certain standard of safety from the manufacturers, and when our children drink from public water fountains, most us don’t expect any harm to come from it. Yet, schools, toys, and water fountains have all been associated with asbestos use. 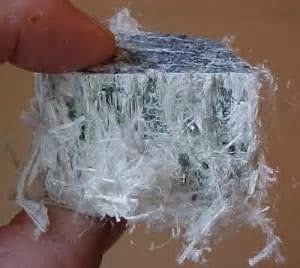 Asbestos, a naturally-occurring mineral that was once used in products, buildings, and appliances for its heat and fire-resistance, has been linked to dangerous diseases such as pleural mesothelioma, peritoneal mesothelioma, and asbestosis. Although most schools, toys, and water fountains are safe, it’s important to understand about the dangers of asbestos and how to keep children protected. Thousands upon thousands of public and private schools that were built prior to the early 1980s were constructed with asbestos-containing materials. If your child’s school was built after this time period, then it probably doesn’t contain asbestos. 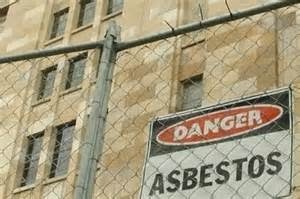 However, there are still millions of children that go to school each day in buildings that are littered with asbestos. As long as the asbestos is not disturbed in any way, these schools are usually safe. Yet, in order to promote the highest standards of safety, the Asbestos Hazards Emergency Response Act (AHERA) was created, which mandates that any school that contains asbestos must follow strict regulations to ensure staff, students, parents, and visitors are as safe as possible. As a parent, you have the right to make sure that your school is following the AHERA guidelines at all times. For example, schools must be inspected regularly for asbestos disruption, and a management plan must always be in place that details plans that will be taken in case of asbestos disruption. In addition, parents must always be notified of these plans as well as any activity that caused asbestos to stir. A qualified asbestos must also be on hand when inspections occur, and immediate action must be taken if disrupted asbestos is detected. Although rare, children can ingest asbestos fibers by simply drinking from a water fountain. The EPA has strict regulations on the quality of water, yet the asbestos typically does not come the water source. If an older pipe that was sprayed with asbestos becomes corroded, there is a chance that asbestos will become disturbed, resulting in the fibers breaking loose and mixing in with the water. Since there is no way to detect asbestos fibers, children can easily drink them without having any idea. The best course of action is to always pack bottled water for your children and discourage them from drinking from public water fountains. Unfortunately, even though the EPA banned asbestos use in the majority of products and at job sites, there are still some products that contain asbestos, and a few children's toys have been linked to it. In 2007, several parts of a popular CSI Investigation toy kit contained asbestos, including plastic tools, glow-in-the-dark powder, and ink. The amount of asbestos in the kits were so high that they were recalled indefinitely. Crayons and certain clays were also found to contain asbestos, including Rose Art and Crayola. Although some manufacturers claim that the asbestos found in these products only contained the “acceptable” amount of asbestos as regulated by the EPA, several physicians state that there are no acceptable levels of asbestos exposure and therefore no toys should ever contain even a slight amount. Fortunately, both companies listened, and began making products without any trace of asbestos. Unfortunately, asbestos use has been linked to all sorts of occupations as well. Plumbers, welders, military personnel, mechanics, construction workers, engineers, and more were exposed to asbestos by the millions before regulations. This led to a plethora of lawsuits and mesothelioma trust funds being set up to cover future cases. If you feel your child or a loved one who worked in an industry may have been exposed to asbestos, it’s crucial to get regular medical checkups. Additionally, you also may be entitled to compensatory damages. For more information on your legal rights, visit the Mesothelioma Lawyer Center. Well, I must say, in our small town, there isn't much left for Christmas "leftovers". 75% off most things that are left- but most of it is picked over- but still fun to look at the great deals! Who doesn't love a good clearance shelf! Erika and Jon left today as well, so we said our good byes- but I said I wasn't going to cry because it isn't 'good bye', it's just see you later. I feel bad for Jakey though with both the girls gone now. He got used to them popping over when they did their laundry and came for a visit. At least I can still email with them and know where they are at. He only will know their gone. Gerry bought the materials today ($220) to start on the pantry and already got the frame done-but not first without having a minor accident of hitting his hand bad with the hammer! 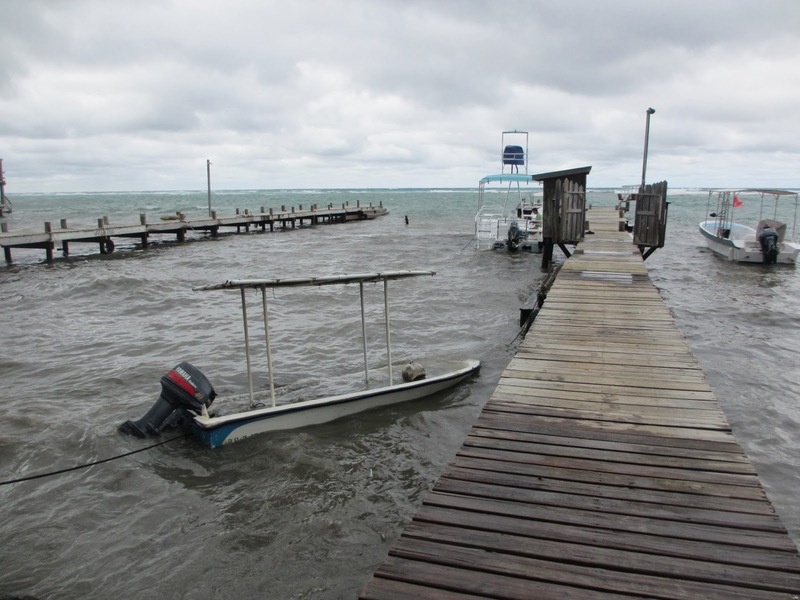 Ria sent over some more photos from Roatan, and wanted to share them. Erika,(other daughter), is leaving tomorrow with her boyfriend Jon- for Calgary, where he got a job there. Gives us an excuse to travel west now! We are hoping that this summer there will be a place in Saskatoon that will be renting a rv that will allow Jakey,(as most don't except pets- even non shedding like him), and we can rent one and drive that way. We're wanting to give it a try to see if this is something we will like for the future, as Gerry's retirement is coming up within 4 years I believe. Erika is breaking the 12-14 hour trip in half with a stop in Saskatoon to see Jon's sister, her boyfriend and their new baby. Erika and Jon are travelling in two separate cars and with a giant rabbit and a dog, so that in itself should be a challenge. I know our Jakey is usually restless by the time we get to the kennels when we travel the 4 hour drive to get there. I think Gerry is starting the work on the new pantry this weekend. We only have two hardware stores so have to compare costs with those two. We have our points visa though which is nice, and one store also accepts Aeroplan, but we have to make sure the price is lower there as well. Will of course keep you up to date on the progress of that. Have a great weekend everyone- off to pick up a paper and get the mail! Online shopping can be a fantastic experience as you easily eliminate all the hassle associated with malls and stores. Shopping at e closet can be even more fun. E-closet is your source for affordable and trendy fashion. Best yet they also offer free standard shipping to anywhere in Canada and $10 rate within USA, which is music to any online shopper’s ears. E-closet offers a huge variety of tops, bottoms, dresses and accessories to choose from. You can have your weekend outfit all set to go with just a click of the mouse, and you didn't even have to remember where you parked the car. 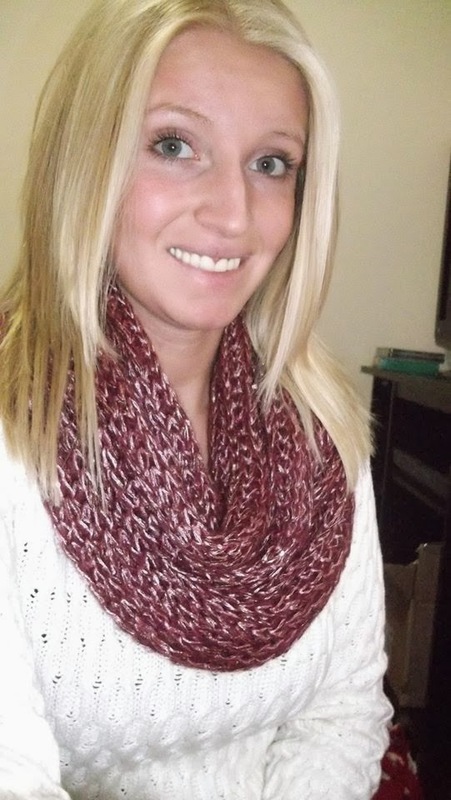 My daughter Erika recently reviewed an infinity scarf that was in stock at the time of her shopping. She loves it- the quality she said, the color and the way it fit her were all very impressive to her. E-closet would love to give away one $25 e-gift card to one lucky Canadian winner- with free standard shipping for the winner to have their prize shipped when ordering. A random draw will be held by Random.org on January 24, 2014 from all Canadian entries received. Please be sure to comment with your email address which entry you chose. Mandatory Entry of at least one for one entry. 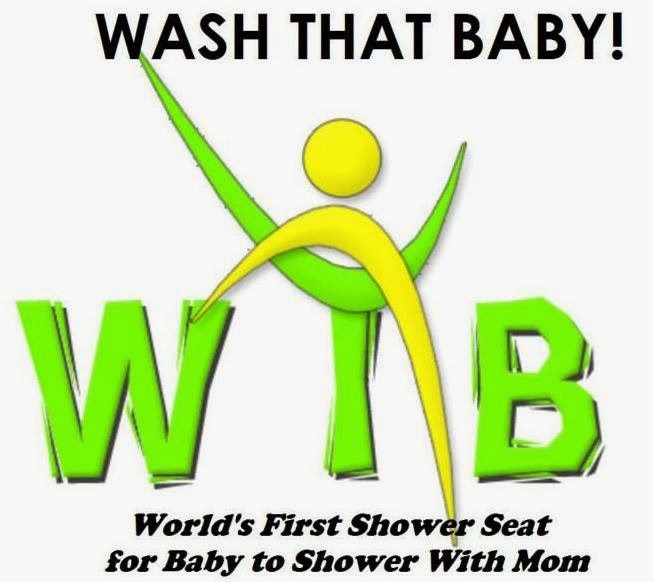 Have You Heard Of : Wash That Baby: The World’s First Baby Shower Seat ? Bath time is a wonderful bonding time between baby and parents. Make this time together even more special with Wash That Baby!, the world’s first and only baby seat that allows parents to safely shower with their baby. Unlike traditional baby bath tubs, Wash That Baby! is conveniently designed for the shower — providing a safe, soft, and unbelievably adorable bathing experience for the most important person in your world. Melanie Spratt-Anderson, a mother and designer of Wash That Baby!, understood the struggles of modern mothers, creating the perfect alternative to the standard plastic tub. Gone are the days of lugging the big, plastic baby bath tub to your kitchen sink or tub to bathe your little one. Wash That Baby combines all the security and convenience that the parent needs in a shower seat and all the comfort that the baby needs. Currently only available for $129.00, this is the only bath product parents will need from infancy through toddler ages. Wash That Baby is so easy, even Dads will want to use it! This baby shower seat comes assembled and ready to go - all you have to do is securely mount the three metal screws to the wall. The thigh straps ensures baby cannot stand up or wiggle out of the seat while the adjustable safety belt keeps the baby securely inside. The innovative seat’s aluminum frame is lightweight yet extremely strong, capable of holding up to a 60 pound baby while the steel support cables used in the frame withstand hundreds of pounds of pressure. 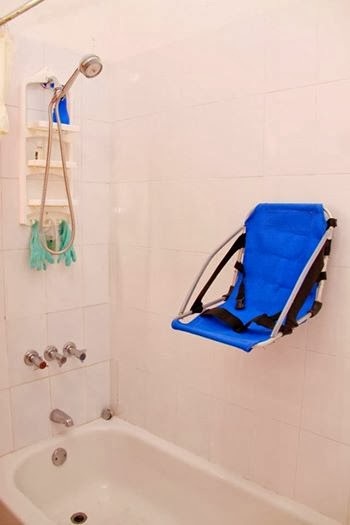 The ergonomic design of this shower seat holds the baby better, allowing for effortless bathing. Wash That Baby! also features quick drying antibacterial fabric on the chair, allowing for a drying time of less than five minutes with a seat that is clean and ready for re-use quickly. From newborn to toddler, baby's shower time couldn't be better without Wash That Baby! The baby shower seat has been independently tested and is safe for babies up to 60lbs. While the snow outside may be nice and mystical, it does equate with some horrible driving conditions. Most drivers hate driving in winter road conditions. However with a little preparation and by taking your time, you do not have to fear old man winter. State Farm® encourages responsible driving every day of the year, and especially during cold weather months when inclement weather is more common. If driving conditions turn treacherous and leave you stranded, emergency roadside items can help you stay safe until help arrives. 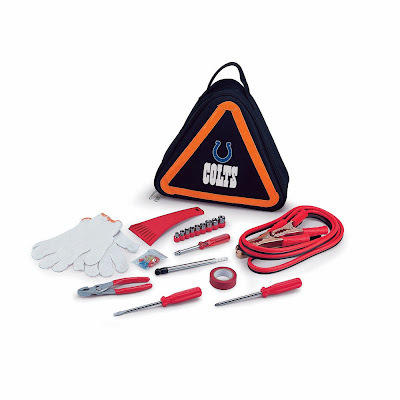 Roadside emergency kits should include items like jumper cables, an ice scraper, a tire-pressure gauge, a ratchet set with rigid hand driver, a pair of standard slip-joint pliers, a flat head screwdriver, a Phillips screwdriver, among other items. · Never warm up your vehicle in a closed garage. · Keep your gas tank at least half full to prevent gas line freeze-up. · Make sure your exhaust pipe is not clogged with mud or snow. · Don't use cruise control on icy roads. · Allow more time for braking when visibility is poor. · Stay calm if you start to skid. Check out http://learningcenter.statefarm.com/safety-2/auto-2/worst-case-winter-driving-survival/ for more winter driving survival tips. Get your car prepared for the harsh winter elements with a new set of windshield wiper blades. 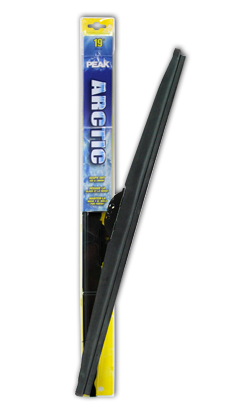 PEAK Arctic Winter Wiper Blades are a great option, featuring a tough steel frame construction that can handle what winter throws at it and will not twist, warp or crack, keeping out ice, sleet and snow. And be sure to keep your car stocked with wiper fluid. PEAK offers a great -20 Windshield Wash to power through windshield dirt and grime. 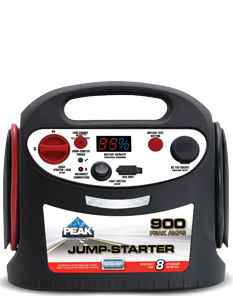 Another essential for your car this winter is the 900 PEAK amp Jump-Starter, which allows you to jump-start your own battery. This is a must-have product in your vehicle as the temperature drops to help if you run into any trouble on the road this winter, as you'll have everything you need to jump-start your own vehicle. Plus, it has an integrated 1 Amp USB port and 12V DC outlet can give your electronic devices a boost in no time. And don’t forget to keep your car stocked with Antifreeze! 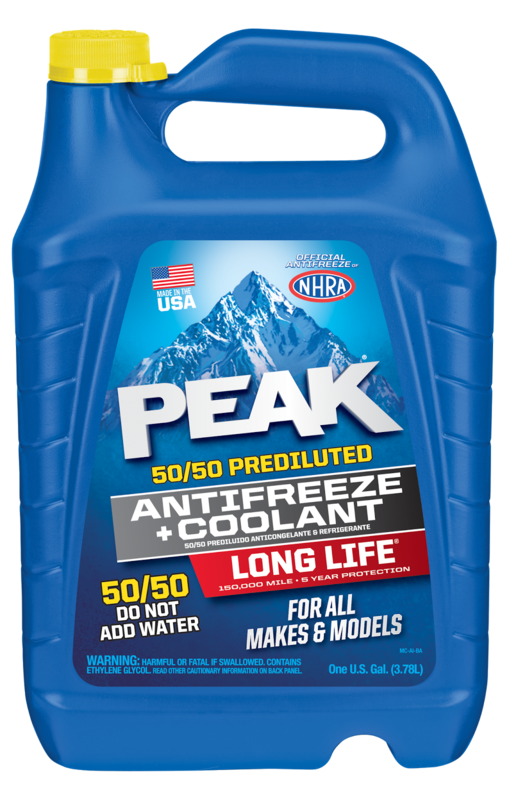 PEAK Long Life 50/50 Prediluted Antifreeze & Coolant is a great option, which can work for all automobiles and light-duty trucks. It offers all of the same benefits in a convenient pre-diluted antifreeze with no need to add water. For more information on all of these products are more, visit www.peakauto.com. #3 - Ice scraper - if you've forgotten one use a credit card. a trunk organizer that is great for organizing winter gear in your vehicle to keep it from spilling all over the place! Love it! 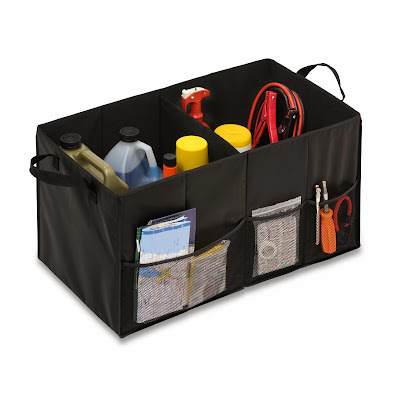 It has a middle divider, outside mesh pockets, two carrying handles and can fold flat when not in use. 1. *Make sure your car has an emergency kit for winter driving conditions*. first aid kit, and more. Click here for the list of 20 items they suggest. opportunity to begin to develop one. winter driving conditions you may want to install snow tires.